Most experienced economists agreed that GI is one of the key factors for a sustainable growth of the Vietnamese produce market. The reason for this is that GI corresponds to a specific geographical location with particular natural as well as manufacturing conditions, while hinting that produce enjoys certain quality and reputation. GI has become a priority in economic partnerships nowadays, and thus a necessity to make it a familiar signal to consumers. In Vietnam, statistics of the National Office of Intellectual Property of Vietnam (under the Ministry of Science and Technology) show that until July 31, 2018, this organization certified 62 national GI and 6 international GI. 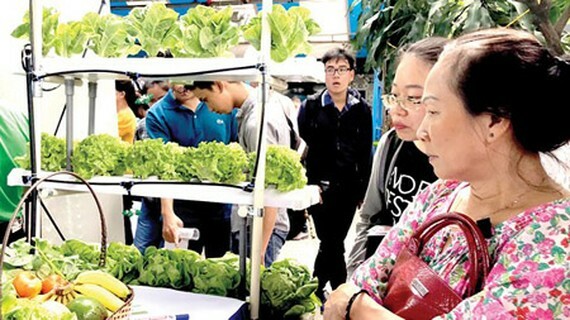 At the moment, 38 provinces and cities national have own GI for their produce, 47 percent of which are fruits, 23 percent industrial plant and forestry products, 12 percent aquaculture produce, 8 percent rice, and the rest are other produce kinds. Non-food products that own GI protection are Hue palm-leaf conical hat, Tien Lang pipe tobacco, Vinh Bao pipe tobacco, Nga Son sedge mat, Yen Tu yellow apricot blossom. As confirmed by the National Office of Intellectual Property of Vietnam (NOIP), the selling price of any products possessing GI protection is normally higher than usual. For example, Cao Phong oranges enjoy a two-folds increase in price, Meo Vac honey from mint flowers a 75 – 80 percent rise, Phu Quoc fish sauce a 30 – 50 percent rise, Dai Hoang king banana even a 130 – 150 percent rise, Vinh oranges over a 50 percent rise, and Luan Van grapefruit a 3.5 times growth in price. In the last 5 years, the number of GI in Vietnam has witnessed a considerable increase. However, in general, the country is still unable to fully take advantage of its potential to rise the value of its produce. This is because the GI management model does not have a close link with manufacturing features of agricultural produce and commercialization processes, not to mention the loose connection among the industries of science – technology, agriculture, industry, trading in several regions of the country. As a result, the organization of a model for GI management seems to be the task of only the science – technology field. All of this has led to a regulation signing ceremony between the Ministry of Science and Technology, the Ministry of Agriculture and Rural Development, and the Ministry of Industry and Trade in August 2018 to better manage GI. It is expected that the new regulation will ensure the unity and effectiveness among the three above ministries in tasks related to GI so that GI protection can demonstrate its socio-economic usefulness and the public’s awareness of GI products is raised. 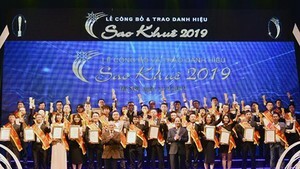 Head of the NOIP Dinh Huu Phi commented that it is essential to build a trade name for Vietnamese produce to meet strict demands of international markets. Therefore, the GI regulation becomes the foundation for the collaboration among ministries to maximize the value of products under protection, to improve the competitiveness of these merchandise, to promote the benefits regarding professional ability, human resources, and finance of each ministry, to unite and support one another in the mission of building, developing, and managing GI in Vietnam. Deputy Minister of Agriculture and Rural Development Tran Thanh Nam also affirmed this idea, saying that this is critical to ensure product origins and quality. In the near future, his ministry will standardize more than 2,000 agricultural products related to intellectual property. At present, the law system in Vietnam as to GI protection registration is quite sufficient, yet the implementation in reality still shows certain weaknesses. In the state level, there is no close cooperation among related agencies to form clear directions and united content in order to integrate various resources and to assign supporting tasks. Deputy Minister of Industry and Trade Do Thang Hai stated that when not only his ministry but also other ministries fulfilled their cooperative work in building and managing GI, along with the active cooperation of local associations and businesses, the value of domestic products will no doubt increase, and the international markets of Vietnam will expand a great deal.